Time is almost up to enter SumZero’s jobs contest for a chance to win interviews for investment roles at top funds. In light of this, we sat down with contest judge and investment guru Mohnish Pabrai, managing partner of Pabrai Investment Funds and author of The Dhandho Investor and other books, to talk about the Do’s and Don’ts of interviewing in the investing world. Mohnish Pabrai grew up in New Delhi and Mumbai before immigrating to the United States to attend Clemson University. He worked at Tellabs before founding his own IT consulting firm in 1991. In 1999 he founded Pabrai Investment Funds, which has grown from $1M to almost $300M in assets today. Pabrai also founded and manages the Dakshana Foundation which invests educational resources into talented and underprivileged Indian students. SumZero: What’s the worst thing a candidate can do in the hiring process? Mohnish Pabrai: I think that if they are not themselves, that’s bad. It’s very important when you are going to interviews to be as candid as possible, as open as possible, and to be upfront with things that are negative. Sometimes I see resumes and there is a gap where some years are missing, so that usually prompts questions. Normally I’ll ask the candidate, “What were you doing from 2004 to 2007?” for instance. Sometimes they’ve just left it out because it’s not relevant, but regardless it erodes trust. So I would say, be yourself and be candid and direct and open on areas that you have screwed up on. SumZero: What’s the best thing you can do in the interview process? Mohnish Pabrai: I think there are a couple things. One is that candidates should always send their resume with a current actionable stock idea expressed in a couple pages of what I would call “elegant prose”, making it obvious why that idea is a great idea, and that it’s their own idea on a company that they’ve researched and found. The bottom line is that in this business, that’s what people are interested in: what kind of analyst you are. They’re interested in knowing whether you think independently, how you think. And all of those things become obvious when you submit a thesis. This should ideally not be more than two pages of normal sized font. You should be able to explain why something is a no-brainer ideally in a paragraph, but certainly not more than a couple pages. One more thing is that there’s a human tendency for reciprocation. So if you do me a favor I’m inclined to do you a favor. If you send in an actionable investment idea, in effect that fund could use the idea in their portfolio and possibly make money off of it. That will generally make them favorably inclined towards you because they basically got something for nothing. That’s going to help you a lot. Obviously it’s not going to hurt you if you already own the stock and ten other people go buy the same stock; that’s going to help you. SumZero: What else should an applicant include in their application? 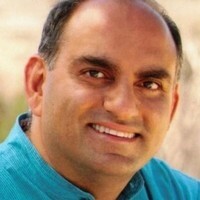 Mohnish Pabrai: Everyone sends their resumes by email or digitally. You can do that, but I think it’s important to send them in a physical form by regular mail. Take a large envelope and write out the address by hand, include a cover letter, a resume, and your actionable investment idea. When you send these resume packets, send them to the CEO or the owner of the firm. That’s one of the reasons why you want to use the US Postal Service, because generally you are not going to have the email address for the top CEOs of large firms, but you always have access to their mailing address. The other advantage is that circa 2016, people don’t send stuff by mail. The amount of hand written stuff coming in to a CEO is limited and the CEO gatekeeper, or the firm’s hiring manager gatekeeper is going to have a couple of processes in place to deal with this. They may actually send it to the CEO’s desk because they see there’s a stock tip, or they may forward it to a particular department of the firm. It’s very unlikely that it will get tossed in the garbage. I get a lot of resumes and stock tips from people, and I usually at least scan the tip to see if it’s of interest. I never throw it away. Wherever your resume package ends up, when it come from the admin or secretary of the CEO or hiring manager it carries a lot more weight than an unsolicited email from someone no one knows, and they’ll give it attention. Mohnish Pabrai: After my daughter had just finished her freshman year of college she wanted to find a summer internship. She had hardly anything on her resume, most of it from high school. Not to mention she made me promise not to contact anyone; she wanted to do this on her own, though I helped her with her process. She made a list of a hundred companies, and we sent out a hundred manilla envelopes and she ended up with ten or eleven calls and emails, four or five interviews, and two offers, one of which she took. One of the resumes she sent was to Charles Schwab. I mean she addressed the envelope to Mr. Charles Schwab. She ended up getting an email from a somewhat irritated person which said something along the lines of “We received your resume from the office of the CEO, which was forwarded to us to review. We just wanted to let you know that you should apply through our website.” So that person basically did not want to deal with my freshman daughter’s resume, but he couldn’t ignore it because it came from the CEO’s assistant. And of course if my daughter had actually taken his advice and applied through the online portal, she would have been totally lost among ten thousand resumes. So in this case she didn’t get an interview, but her resume did actually get to someone who looked at her background. One of my younger friends just told me that if you meet a girl and you call her later, she’ll think you are some kind of creep for calling instead of texting [laughs]. So this may be a different time, but going “old school” with physical resumes and is going to make you look different from the rest of the crowd and that's the key in trying to get in front of people. SumZero: What will make a resume grab your attention? Mohnish Pabrai: I’ve always violated basic resume rules. For example, one resume rule is that it should be one page. When I was finishing my undergrad 30 years ago, at that time I was a foreign student in South Carolina, and there were no companies that would interview me. I made a resume for myself that was five pages long. Five pages for a guy that had never worked before and never even had an internship anywhere. But I had very high grades. The first three pages were my transcript reproduced in MS Word showing three pages of As in all the subjects I had taken. And the remaining two pages was my resume with whatever I had done. Going from someone that no one wanted to interview, I had fourteen job offers when I had finished, and spent most of the semester traveling all over the place interviewing and ended up with the highest starting salary in my class. That’s after sending out four or five hundred resumes as well. Especially in the investment world, people care about what have you delivered, what are your returns, those type of things. If you have a personal portfolio you can talk about what you’ve done with that. If you worked at another firm, list your good and bad stuff, like “Here’s the idea I came up with that had good returns and here’s the idea I came up with that didn’t work.” I think all of those things are good to see because that’s what people care about. And if it’s two pages, that’s fine. SumZero: Sounds like you like it when candidates are unconventional. Do you look for something similar in their stock pitches? Mohnish Pabrai: Don’t send a stock tip of a Fortune 100 company. Generally speaking those are followed by 20 or 30 sell side analysts, and the place you are applying may already have an opinion on that company. Not to mention you generally aren’t going to find deep value in those types of names. Also don’t send some stock that’s a 5 million market cap that no one can do anything with. That’s a good way to make sure no one wants to talk to you [laughs]. So I would say something between a billion and ten billion market cap that you truly understand, you understand why the market is mispricing it, and then lay out your case. It may even be worth spending one to two hundred bucks on an editor from Upwork or something like that that can really polish up your writing. SumZero: At what point do you know “I want to hire this person”? Mohnish Pabrai: Usually it becomes fairly obvious quickly, often even before I’ve met the person. Clearly people will weigh a lot on what you send them before they meet you, because they are not going to waste time interviewing you if they have any reservations about you. So almost all the time you spend on job applications needs to be spent on the resume versus finding the best suit to wear in your interview. I put a lot of emphasis on the stock idea, with even more emphasis on the fact that it needs to be actionable. You can’t send them something you came up with three years ago. So with respect to whether or not someone is interested in you, a lot of the decision has already been made before they call you. SumZero: How important is it to have attended a top university? Mohnish Pabrai: I’ve met a lot of stupid people from Harvard. I’ve also met some exceptionally gifted people from those places, and a lot people who are really good who haven’t come from those places. Someone like me is not going to assume that because you went to an elite institution you are awesome, or if you didn’t go there you are not awesome. It’s going to give you a slight advantage if you went to a top school, but I also temper that in my head with my past experiences. At the end of the day, especially if you’ve been in the working world for a while, the elite school doesn’t matter as much as what happened since then. I’ve just learned personally from experience; I’m a little bit wary of overreacting to the school factor. SumZero: Are two years of prior banking experience a strict requirement to enter the buyside? Mohnish Pabrai: No, not a requirement. It’s the same thing as schools. If you got hired straight out of school at Goldman Sachs, I know there’s a lot of filtering that Goldman does, and they tend to end up with some of the best people graduating, at least on paper. So people that come from an elite bank are going to get some weight because they’ve passed through some filters in life that are not easy to just get through. That gives them some benefit of the doubt, but I think again, the factors that make people successful long term are somewhat different. I’m looking for traits like humility, integrity, and willingness to work very hard. Work ethic is apparent if you went to HBS and then Goldman; you just can’t do that if you’re not hard-working. But the other two, especially humility, may be sorely lacking. So if someone is from an elite institution, one of the first questions that’s going through my head is “how humble are they?” When I’m looking at a resume I’m looking for a reason to reject it, not for a reason to call the person. I’m looking for signs of ego. It’s hard to pick that up on a resume but sometimes it’s there. Sometimes these things don’t even show up in in-person interviews, but only over time. And as a hiring manager if I make a mistake there’s a very heavy price to pay. So I’m trying to get as much data as I can on those traits. How do they frame things? What are they emphasizing versus not emphasizing? Mohnish Pabrai: One example was one person who had contacted me a long time ago, who had done a law degree at Harvard. In his conversation with me he said, and this was the second or third sentence he used with me, “Like like Charlie Munger, I went to Harvard.” I just rolled my eyes and said “Ok we are not going to have anything to do with this person.” It’s funny one time this person was actually at a Berkshire Hathaway shareholder meeting, and he asked a question to Charlie Munger, but first he said “Mr. Munger I’m so-and-so, and like you I went to Harvard.” It’s been like fifteen years or something, and I periodically check on what this person’s been up to. I was curious how his career would play out, and it actually didn’t play out so well. SumZero: Do you hire people with non-standard background? Mohnish Pabrai: Yeah, that happens all the time, actually. One of the things I’m trying to do is what I’d call job market arbitrage. The job market tends to overrate and pay more for certain candidates with certain attributes. You are better off not pursuing the crowd, or else you end up with a smaller, more expensive pool. So, for example, I think all of my admin, compliance, and office staff are part time stay-at-home moms. That demographic is one the job market underrates, even though many of these women have amazing backgrounds but are choosing not to work full time because they’ve decided to have families. SumZero: What do you think of MBAs and CFAs? Is one better than the other? Are they necessary? Mohnish Pabrai: I think that both are good and carry weight. I’ve generally not weighed the CFA as much as an MBA from a good school. One of the things about an MBA from a good school is that they have a filter, and it’s not so much about what you learned at school, but the fact that you made it through the filter is relevant. So an MBA from a top school carries some weight with the caveat that I’ve met plenty of dumb people from elite MBAs. But there are definitely some programs, for instance the Value Investing Program at Columbia that takes only like 40 kids a year, which weigh very heavily in my mind if someone is coming through that program sends me a resume and there’s a stock tip on top of that. I’m definitely going to pay attention to all of that. SumZero: Does having a few quantitative skills in the toolbox, like coding and statistics, make a candidate more appealing? Mohnish Pabrai: The most important thing I’m looking for is capability. I always think that I’m better off hiring someone who’s very high capability, versus someone who’s just got specific skills that the current position needs. I’m asking myself “How versatile are they? How quick a learner are they?” If the position specifically needs certain skills that would take a while to develop, then yes, we weigh those skills. But ideally we want the ability to learn and do different things. It’s nice to get the skills we want, but first we want the capability coupled with the integrity, humility, and work ethic. SumZero: Where do you source prospective candidates? Mohnish Pabrai: Referrals are a great way to go. When I think back on people that have done really well, for the most part they came referred by someone. That’s a terrific angle. We’ve also had plenty of people off the street, but the success rate there has been lower. The other thing we do internally is pre employment testing with a personality and psychology test which tells us the core traits a person has. Are they detail oriented? Are they a perfectionist? Are they introverted or extroverted? Do they need a lot of management or do they just need high level guidance and they can do the rest? Different jobs need different skills, so it’s good to know. Interviews are very problematic because they expose humans to a lot of biases, so the less dependence one has on an interview the better. Tall people will have an advantage over short people, more attractive people have an advantage over less attractive, there’s all kinds of advantages certain races have over others. Even I recognize that with myself being aware of these biases, I’m still going to have biases. So the less dependence one has on the physical meeting the more based on history of the person, the better the decision is going to be. SumZero: How should candidates evaluate potential employers? Mohnish Pabrai: That’s pretty simple. You just do what Buffett said and go to work for people that you like, admire, and trust. He says nothing about salary. He says nothing about your roles and responsibilities. I think that’s the key: look at the people you’re going to work for and with. Ask yourself if you were independently wealthy, would you still spend your days with these people? And if the answer is no then you shouldn’t go to work for them. Don’t focus on title, or the blue chip nature of the employer. Even ignore going for the highest paycheck. I only had one employer before I went on my own, but I use a test which I call the Monday Morning test: if on Monday morning I’m not fired up to go to work then I do two things: 1) I don’t go to work, and 2) I find a new position somewhere else. The first time this happened to me I ended up switching departments in the same company, taking a lower level position than I was already at, which turned out to be a great move for me, a far better fit, and much better people to work with. And the second time this happened I started my own thing which has succeeded well beyond what I would have achieved had I stayed where I was. So just ask yourself if you are excited where you are, and if you are not, even if there is a lot of uncertainty and you end up going backwards you should look to make a change. Join SumZero to enter the SumZero Gardening Leave challenge for a chance to discuss your investment ideas with Mohnish Pabrai and other world-class investors. The deadline to enter is August 31st at 11:59pm EST. I thought Pabrai operated alone?